I think that the colour pink and red make for such an interesting combo . Luckily!. And contrary to popular opinion it also isn’t the hardest look to pull off. 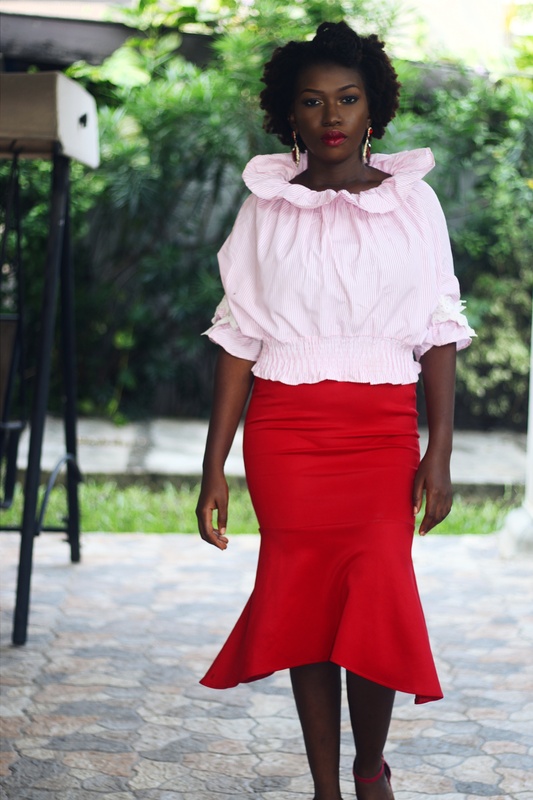 A little twitch and it looks like a completely different top , I paired it with a red skirt I got from a shop maju sale a while back. 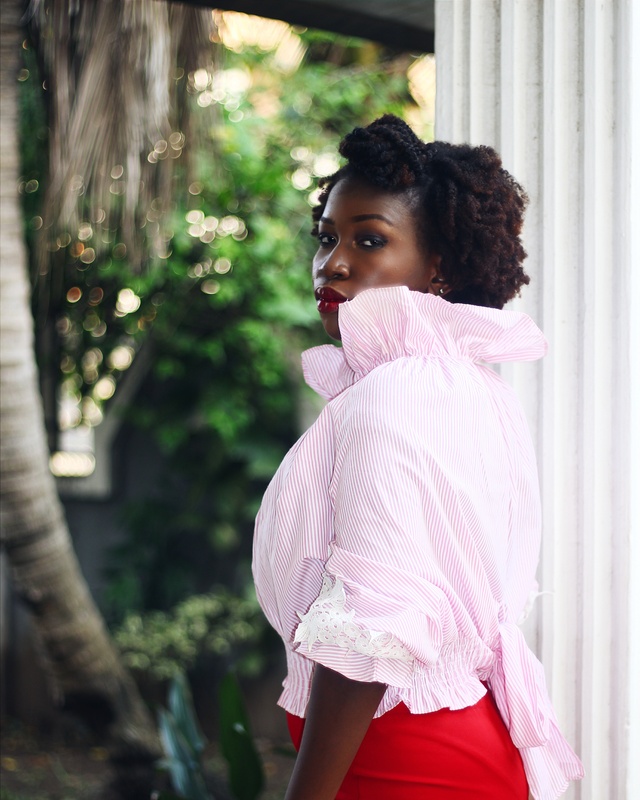 Nope ,my stomach isn’t flatter, Its just tucked in almost perfectly, and if I’m looking a little too fierce in any of these photos it’s from the stress of squeezing the yam and egg I ate before this pictures were taken too hard. Subscribe to the blog and leave me your comments, I like to hear from you. who would have thought pink and red could be pairing buddies. something tells me a silver shoe will do a lot.